Black cat Hogarth is a true character. Hogarth is a nine-year-old diva — he loves to be pampered and indulged. Not to worry, your affections will be returned, as he adores people. Hogarth needs a human who can provide extra devotion. For health reasons, most of his teeth have been removed, and he is also FIV positive. 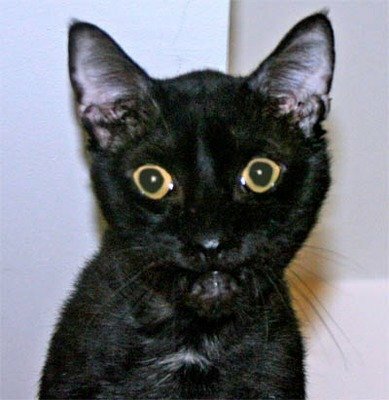 Hogarth is available for adoption through Salem Friends of Felines in Oregon.